Yet, did you know that the body detoxes every day? We encourage this natural process by consuming traditional foods that nourish the liver, kidneys, skin, and lymphatic system. These organs and systems all play their part in ridding the body of toxins. If we support them, we support our natural detoxification pathways. One of the easiest ways to promote detoxing with traditional foods? By making a flavorful, savory, liver-nourishing soup! Every nourishing soup begins with bone broth. Any bone broth can be used (even fish! ), yet chicken broth is probably the most common. Whatever you choose, it will be rich in amino acids, including collagen which heals your gut and is essential for healthy skin (source). Furthermore, your kidneys require plenty of fluids (as well as minerals — also present in bone broth) to flush toxins out of the body. Strong kidneys ease some of the burden on your liver, allowing it to work more efficiently as well. Learn how to make bone broth here. 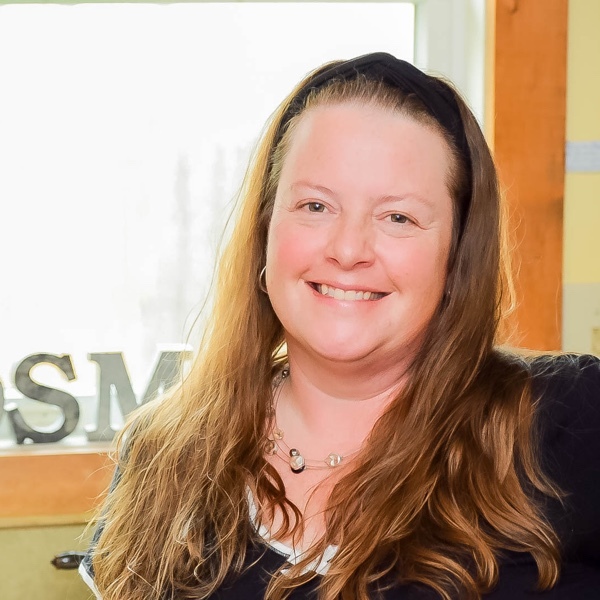 If you're a member of Traditional Cooking School, see Lesson 8 of the Pressure Cooking I eCourse to learn how to make bone broth in your Instant Pot (it takes only an hour!). When adding vegetables to your soup, first add the hard vegetables (carrots, sweet potatoes), then any delicate veggies (leafy greens) just a few minutes prior to serving. If you're crunched for time, the above three steps will produce a tasty and nutritious soup. If you'd like to think outside the box, however, try some of these ingredients! Ready To Begin Detoxing With Traditional Foods? Let's recap — to make a traditional foods detox soup, start with nutrient-rich bone broth, then choose your favorite veggies. Season with sea salt, herbs, and spices, then let it simmer. When you can't take the mouth-watering aroma any longer (and, of course, the veggies are cooked), it's done! Serve up a big bowl with buttered sourdough bread and a salad. Believe me, detoxing never tasted so good! 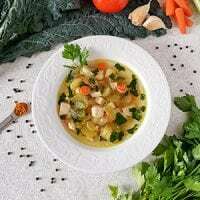 Here's a detox soup that I love to make, either just for fun or when there's illness in the house. Need a cleanse after the holidays? 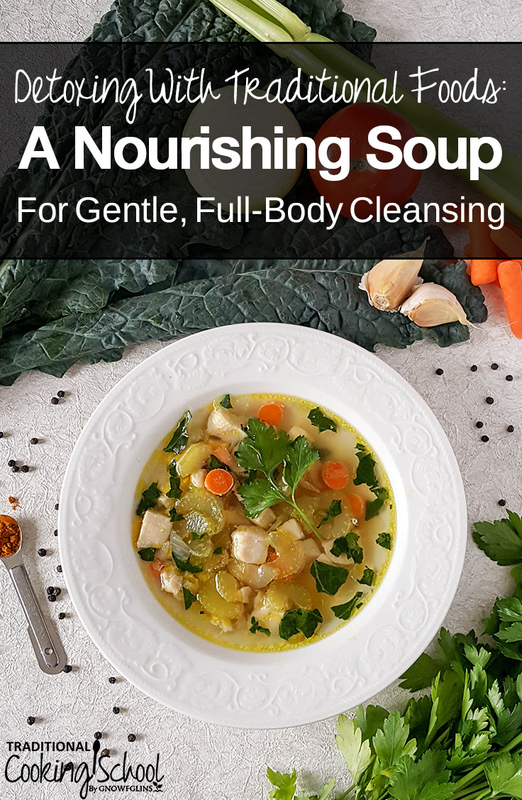 Learn about detoxing with traditional foods, like a nourishing soup for gut health, liver support, and skin cleansing. In a large saucepan or soup pot, melt the fat over medium heat. Add the onions, celery, and carrots. Sauté until the onions begin to turn translucent. Add the minced garlic. Sauté for 2 minutes longer. Add the bone broth, chicken, and spices. Bring to a boil then reduce heat and simmer until vegetables are tender. Right before serving, add parsley and kale. Cover the pot and let sit for a few minutes. Remove the lid and stir in the green tea. Serve and enjoy! How do you promote detoxing with traditional foods? Do you ever focus on supporting your body's natural detox processes after the holidays? Hi! I wanted to detox my liver I’m the new year but discovered I was pregnant. Is it safe to detox while pregnant? I heard that it wasn’t when nursing because toxins release in the baby’s milk. But what about when pregnant? Celery gives me terrible indigestion. I can eat foods that have celery cooked in them as long as I don’t eat the actual celery. I am wondering how much of the nutrition actually cooks into the liquid of the soup, ie: how much nutrition will I get, if any, if I cook then remove the pieces of celery? Thanks for the help.